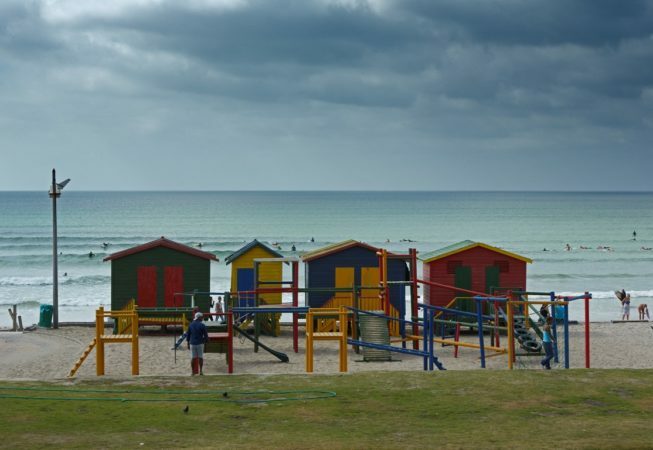 The informality of Muizenberg makes it especially charming. The dress code is most commonly swimwear - boardshorts and bikinis with a surfboard or boogie board close to hand. The mood here is distinctly fun and old fashioned. Muizenberg’s clapboard Victorian change rooms are the beachfront’s famous statement. Their mix of bright colour creates a playful atmosphere fitting for this family holiday destination. 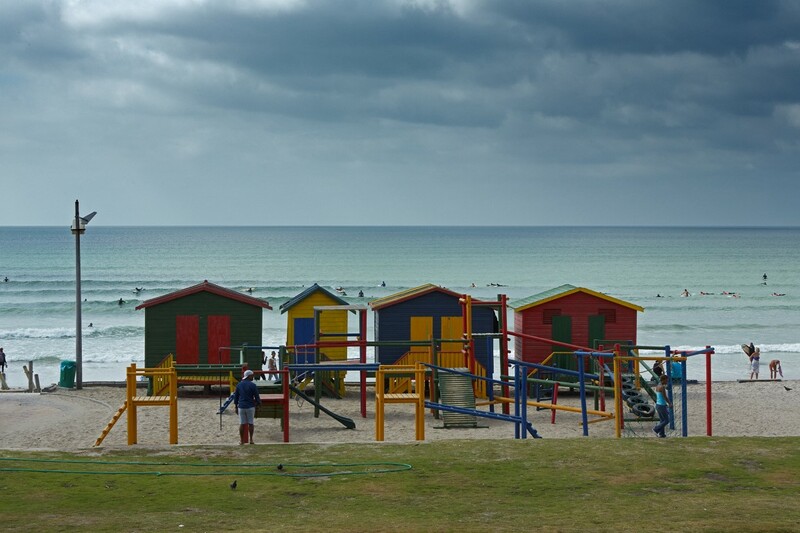 Muizenberg is all about simple pleasures and here on the beachfront, there are many play areas for children. The popular Muizenberg Pavilion offers water fun including water slides, an outdoor swimming pool and a putt-putt course. Public safety is a focus for the Muizenberg Improvement District, a voluntary group funded by local ratepayers, and foot patrollers and strategic CCTV cameras have ensured that the area is both clean and safe.